While the number of asylum seekers arriving in Europe has plunged since 2015, tensions among EU governments remain high. 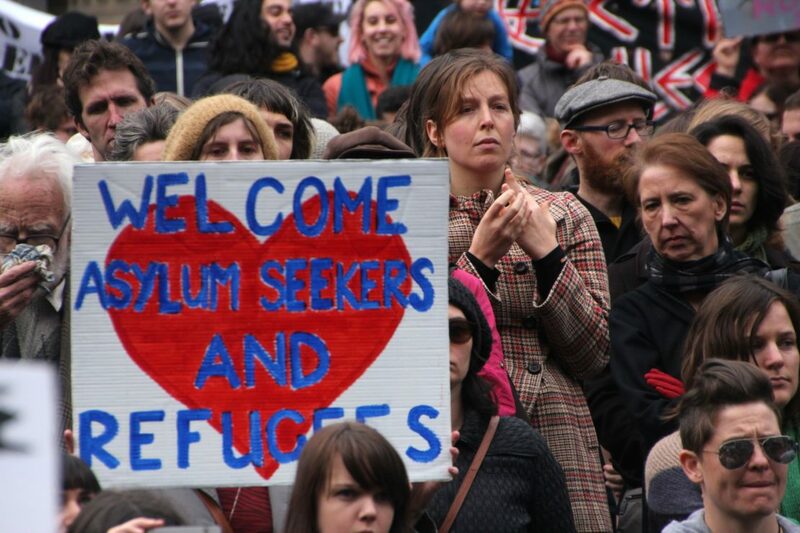 Asylum seekers are typically seen as a “burden” that the more welcoming countries wish to “share” and others to “pass on”. But is that perception correct? No. In a new study published in Science Advances in June we analysed public data to see if asylum seekers really were an economic burden for receiving countries. 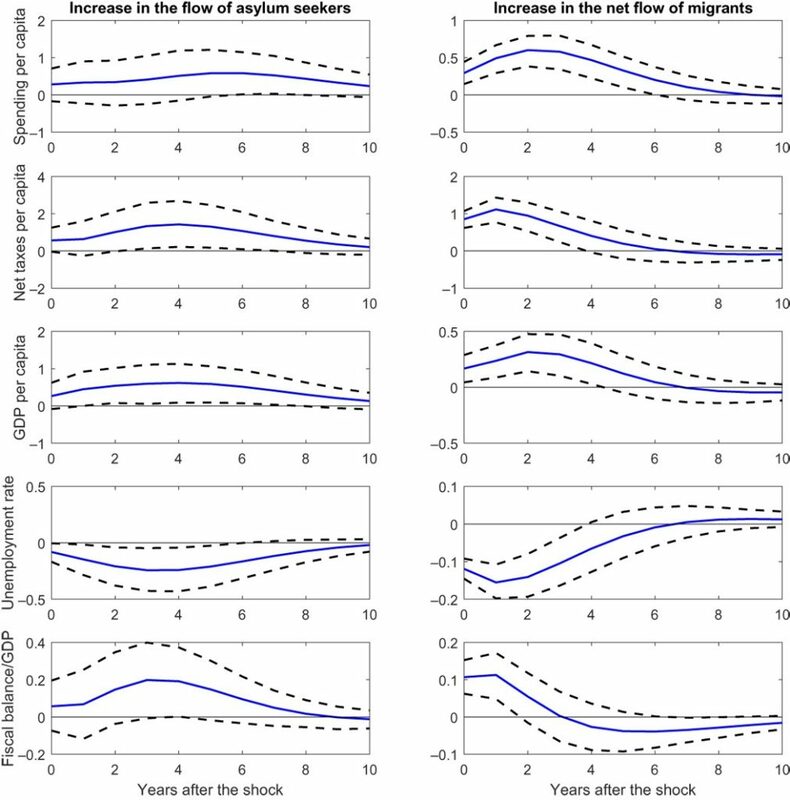 When we examined the impact on migration flows on the economic performance and public finances of 15 western European countries from 1985 to 2015, we found that inflows of asylum seekers did not harm economic conditions in those countries. Over that period, those countries recorded nearly 10.5 million asylum applications, nearly 350,000 a year. 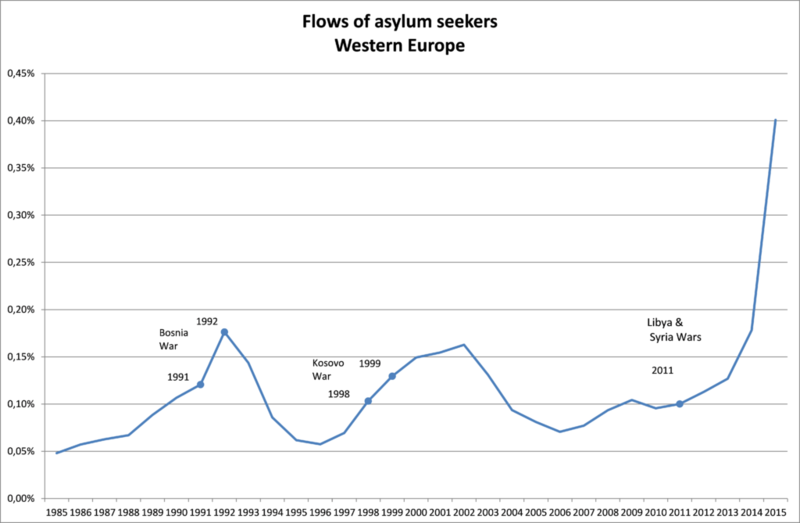 The chart shows the annual flow of asylum seekers as a proportion of the European population. The humps in the 1990s were due to the wars in the former Yugoslavia, while the surge in 2015 is largely due to the civil war in Syria. Studying the impact of migration on public finances raises two main methodological issues. For a start, it is clearly a macroeconomic question, yet it is usually addressed from an accounting point of view. Many studies have tried to compute the costs and benefits of migrants and compared them with those of the native-born population. These use microeconomic surveys and administrative sources to determine individual means (averages) that are aggregated to evaluate the respective net contribution to public finances of each group. Such evaluations are heavily dependent on the quality of the sources used and unfortunately often rely on surveys whose prime purpose is not to assess the situation of migrants. External validation is also tricky because it is not possible to compare their results with data obtained from national accounts, since these are not broken down by the origin of the resident population. Worse, these cost-benefit analyses ignore the interactions among economic variables and thus disregard the consequences that migrants may have on the economic circumstances of the rest of the population. The other big issue, which bedevils all the research literature on migration economics, is how to establish a direction of causality. The interactions between a host country’s economic and fiscal situation and its migration flows potentially flow in both directions: public spending, for example, may rise with migration flows and also increase those flows. This statistical bias is often addressed by using an instrumental variable in the estimates that is correlated with migration flows but not correlated with public expenditure and the other variables that may affect them. Michael Clemens and Jennifer Hunt, however, have recently shown that the use of different plausible instrumental variables may lead to different interpretations of the effect of migration on wages. In our study, we estimate a model known as “vector auto-regression” (VAR) on panel data, which has the advantage of considering the interactions among variables and analysing causal relationships. The point is to evaluate an economy’s responses to “shocks” affecting migration flows, by which we mean external events that influence migration inflows. We examine the interactions between two types of migration flows and four economic variables: GDP per capita, the unemployment rate, tax revenues net of transfers per capita and public spending per capita. We also calculate the budget balance (receipts minus expenses) in percentage points of GDP. The chart shows the estimated responses of these variables to external shocks that increasing migration flows in the ten subsequent years. Our findings are striking. An increase in the flow of permanent migrants has a positive effect on European economies: GDP per capita increases significantly for four years, the unemployment rate falls and the budget balance sharply improves. In the case of asylum seekers, we find no deterioration in economic conditions, whether in living standards, unemployment or the budget balance. On the contrary, there is a slight positive effect once some asylum seekers are granted long-term residency and contribute to the host country’s economy by working. This positive effect would probably be much larger if asylum claims were processed faster and asylum seekers allowed to work as quickly as possible. Hippolyte d’Albis is a professor of economics at the Paris School of Economics and a senior researcher at the CNRS. Ekrame Boubtane is associate professor of economics at the University of Clermont Auvergne (UCA) and a researcher at the CERDI, UCA-CNRS. Dramane Coulibaly is an associate professor of economics at the University of Paris Nanterre and a researcher at EconomiX. Austria, Belgium, Denmark, Finland, France, Germany, Iceland Ireland, Italy, the Netherlands, Norway, Portugal, Spain, Sweden, United Kingdom.